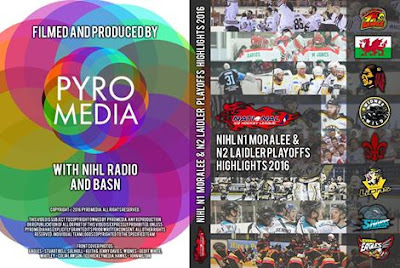 I have to say I am really pleased that the guys at Pyromedia - along with BASN and NIHL Radio - took the time to put this great highlights DVD together of the NIHL North play off weekend at iceSheffield. 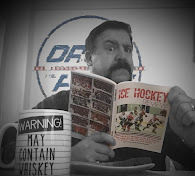 I wasn’t able to go and, while I listened to all the games live on NIHL Radio and have seen all the photos posted on Facebook and elsewhere, it is really good to be able to see how the game splayed out. Obviously if you were there for the weekend, it is also a nice souvenir of an eventful weekend. Now, I know you can also get a digital download of the highlights package but I am writing about the DVD here as that is what I have got. All six games of the weekend are featured here – that’s the two Laidler Conference semi-finals (Widnes Wild v Nottingham Lions and Deeside Dragons v Blackburn Eagles) and the two Moralee semi-finals (Blackburn Hawks v Solway Sharks and Whitley Warriors v Solihull Barons) - all of which were played on the Saturday and the two Conference finals (Deeside v Widnes and Solihull v Hawks) which were played on the Sunday. To take some 20 or so hours of game footage, add in the interviews and edit it all together into a watchable package is no mean feat and I think the guys have done very well here. Despite having been shot through safety netting, the main camera action is still very clear to watch and the whole thing gives a very good impression of what it must have been like to be in the stadium. The commentators come across as very knowledgeable and help the viewer to follow the game and appreciate what is going on. 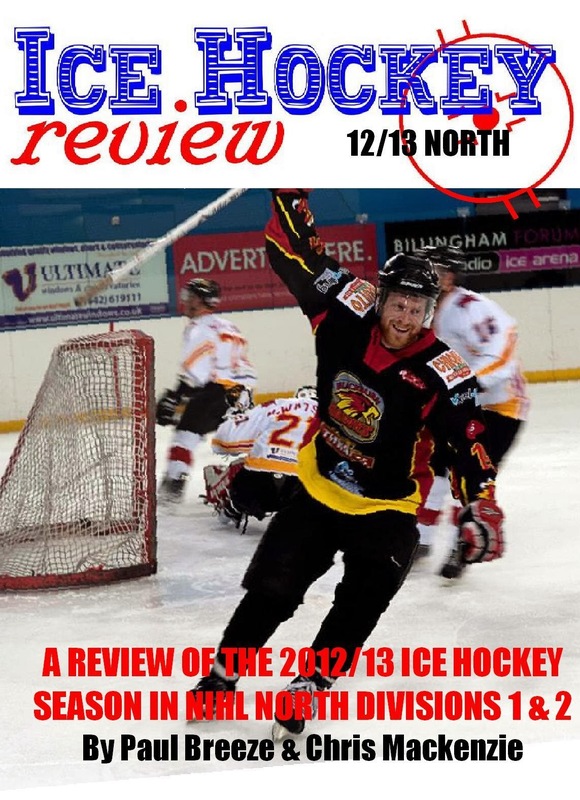 So, if you weren’t at the NIHL North play offs weekend and would like to see what you have missed – this highlights package is very good and if you WERE there and would like a special memento, then this is bound to bring back those memories again and again. Now: I have seen a bit of criticism from certain quarters about this highlights package so I thought I might put my thoughts on record. 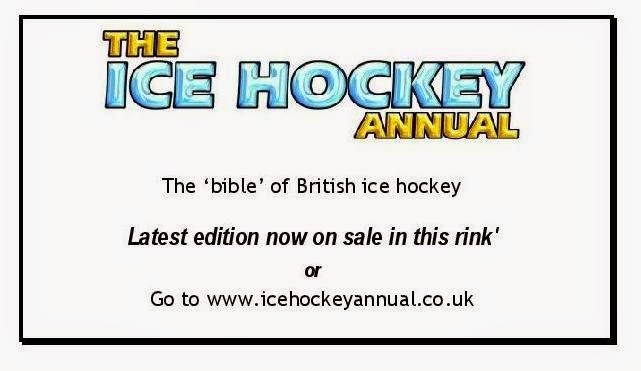 It is basically what it says on the box – video highlights of all 6 games from the play off weekend. Some people are complaining that there are no slow motion replays etc. but there is only so much that you can do on limited resources on a narrow timescale. 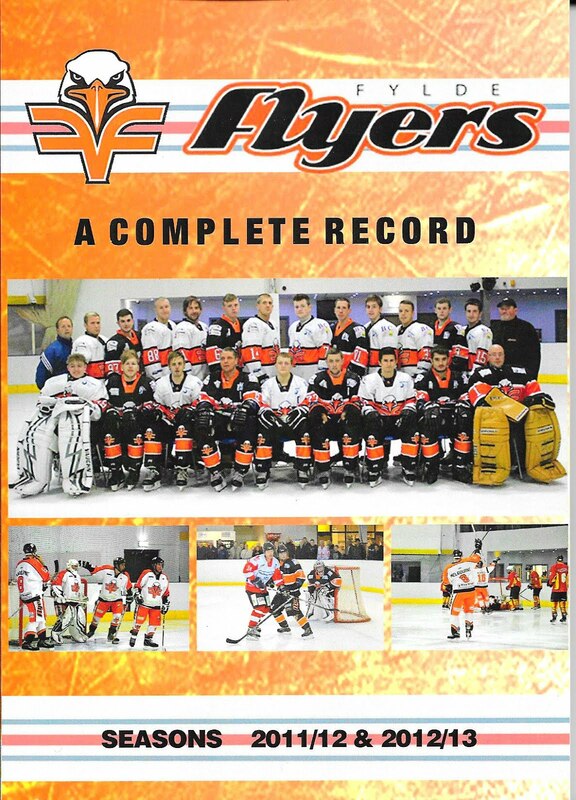 To compare this to - for example - the Drop The Puck TV programme is a little unfair as Drop The Puck only film and show one game at a time whereas these people filmed SIX games in a single weekend and then managed to get all the edited footage ready to send out just a week or so later. 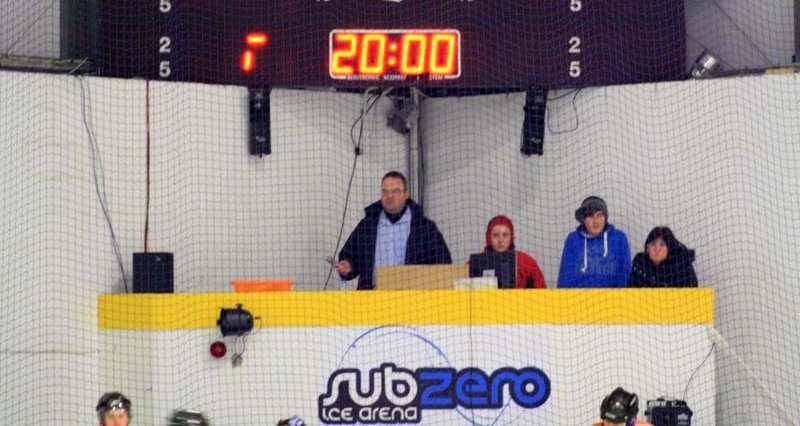 I have videoed things before (not ice hockey games, I hasten to add…) and also have a lot of experience in audio sound editing and I can tell you that it takes hours and hours of editing the raw material after the event to come up with something that is watchable / listenable to and flows properly. Add to that the fact that when you are videoing, photographing, commentating or even merely making notes for a written match report, you are unable to watch and enjoy the game properly like a “normal” fan, then I think it is very commendable that these guys have taken all this time and effort to put all this together for our benefit.